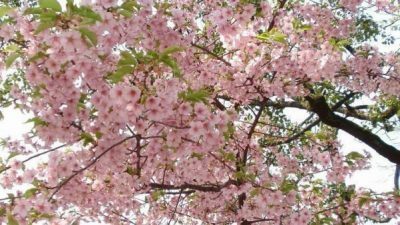 This article offers a list of our suggestions for places to visit in Kyoto during cherry blossom viewing season. My personal suggestion is to aim for the end of the season when the cherry petals float through the air and elegantly dance their way to the ground. This is a phenomenon that is often alluded to in classical poetry, and that captures the Japanese preference to savour beauty not at its prime, but in the transitional periods.